Our Celestial Mother: “…So I departed from Nazareth, accompanied by Saint Joseph, facing a long journey, and crossing mountains to go visit Elisabeth in Judea, who, in her advanced age, had miraculously become a mother. 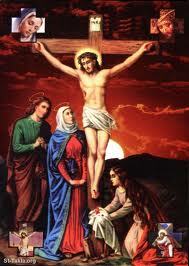 I went to her, not to make a simple visit, but because I burned with the desire to bring her Jesus. The fullness of grace, love and light which I felt in me, pushed me to bring, to multiply – to increase a hundredfold the life of my Son in creatures. Yes, my child, the love of Mother which I had for all men, and for you in particular, was so great that I felt the extreme need to give my dear Jesus to everyone, that all might possess Him and love Him. The right of Mother, given to me by the Fiat, enriched me with such power as to multiply Jesus as many times as there are creatures who want to receive Him. This was the greatest miracle I could perform: to have Jesus ready to give to whomever desired Him. How happy I felt! 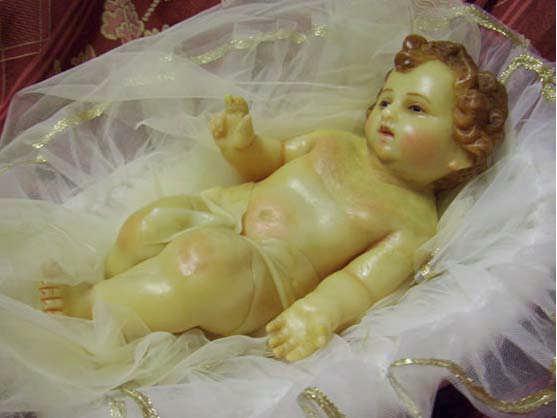 Luisa: “As I was in my usual state, I found myself outside of myself; after wandering around, I found myself in a cave, and I saw the Queen Mama giving birth to Little Baby Jesus. What a wonderful prodigy! It seemed that both Mother and Son were transformed into most pure light. But in that light one could see very clearly the human nature of Jesus containing the Divinity within Itself, and serving as a veil to cover the Divinity; in such a way that, in tearing the veil of human nature, He was God, while covered by that veil, He was man. 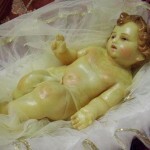 Here is the prodigy of prodigies: God and Man, Man and God! Without leaving the Father and the Holy Spirit – because true love never separates – He comes to live in our midst, taking on human flesh. Now, it seemed to me that Mother and Son, in that most happy instant, remained as though spiritualized, and without the slightest difficulty Jesus came out of the Maternal womb, while both of them overflowed with excess of Love. In other words: those Most Pure bodies were transformed into light, and without the slightest impediment, Light Jesus came out of the Light of the Mother, while both One and the Other remained whole and intact, returning, then, to their natural state. Our Celestial Mother: “…After three days of most bitter sighs, tears, anxieties and fears, we entered the temple. I was all eyes and looked everywhere, when, finally, overcome with jubilation, I saw my Son in the midst of the doctors of the law! He was speaking with such wisdom and majesty as to make those who were listening remain enraptured and amazed. Only in seeing Him, I felt life come back to me, and soon I understood the secret reason of His being lost. And now, a little word to you, dearest child. In this mystery, my Son wanted to give to me and to you, a sublime teaching. Could you perhaps assume that He was ignoring what I was suffering? On the contrary, my tears, my searching, and my cruel and intense sorrow, resounded in His heart. Yet, during those hours, so painful, He sacrificed to the Divine Will, His own Mama, the one whom He loves so much, in order to show me how I too, one day, was to sacrifice His own Life to the Divine Will. In this unspeakable pain, I did not forget you, my beloved one. Thinking that it would serve as an example for you, I kept it at your disposal, so that you too, at the appropriate time, might have the strength to sacrifice everything to the Divine Will. As Jesus finished speaking, we approached Him reverently, and addressed Him with a sweet reproach: “Son, why have you done this to us?” And He, with divine dignity, answered us: “Why did you look for me? Did you not know that I came to the world to glorify my Father?” Having comprehended the high meaning of His answer, and adored in it the Divine Will, we returned to Nazareth. Child of my maternal heart, listen. When I lost my Jesus, the pain I felt was so very intense; yet, a second one added to this – that of losing you. In fact, in foreseeing that you would have gone far from the Divine Will, I felt at one time deprived of the Son and of the daughter, and so my maternity suffered a double blow. My child, when you are in the act of doing your own will rather than that of God, think that by abandoning the Divine Fiat, you are about to lose Jesus and me, and fall into the kingdom of miseries and vices. [Our Celestial Mother says:] “My dearest child, My Heart is swollen with love, and I felt the need to tell you the reason why, together with My Son, I wanted to be present at this wedding of Cana. Do you think it was because of a simple ceremony? No, child, there are profound mysteries. Pay attention to Me, and I will tell you new things: how My love of Mother was displayed in an incredible manner, and how the love of My Son gave true signs of paternity and royalty for the creatures. “Now listen to Me. My Son had come back from the desert, and was preparing Himself for His public life; but first He wanted to be present at this wedding, and therefore He allowed Himself to be invited. We went there, not to celebrate, but to work great things for the human generations. My Son took the place of Father and King in the families, and I took the place of Mother and Queen. With Our presence We renewed the sanctity, the beauty, the order of the marriage formed by God in the Garden of Eden – that of Adam and Eve – married by the Supreme Being in order to populate the earth, and to multiply and increase the future generations. Marriage is the substance from which arises the life of the generations; it can be called the trunk from which the earth is populated. The priests, the religious, are the branches; but if it were not for the trunk, not even the branches would have life. Therefore, through sin, by withdrawing from the Divine Will, Adam and Eve caused the family to lose its sanctity, beauty and order. And I, your Mama, the new innocent Eve, together with My Son, went to reorder that which God did in Eden; I constituted Myself Queen of families, and impetrated the grace that the Divine Fiat might reign in them, that I might have families which would belong to Me, holding the place of Queen in their midst. “My child, in these few words I gave a lesson, the most useful, necessary and sublime for the creature. I spoke with the heart of a mother and I said: My children, do you want to be holy? Do the Will of My Son. Do not move from what He tells you, and you will have His likeness, His sanctity in your power. Do you want all evils to cease? Do whatever My Son tells you. Do you want any grace, even difficult? Do whatever He tells you and wants. Do you also want the necessary things of natural life? Do whatever My Son tells you. Because in His words, in everything He tells you and wants, He encloses such power that, as He speaks, His word contains what you ask for, and makes the graces you desire arise within your souls. How many see themselves as full of passions, weak, afflicted, unfortunate and miserable; yet, they pray and pray, but because they do not do what My Son asks, they obtain nothing; Heaven seems to be closed for them. This is a sorrow for your Mama, because I see that while they pray, they move away from the source in which all goods reside – the Will of My Son. “…My love wants to pour itself out; it wants to make known the excesses which My Divinity operated in My Humanity for the creatures-excesses which greatly surpass the excesses that My Humanity operated externally. This is also why I often speak to you about living in My Will, which I have not manifested to anyone until now. At the most, they have known the shadow of My Will, the grace and the sweetness of doing It. But to penetrate inside of It, to embrace immensity, to be multiplied with Me and-even while being on earth-penetrate everywhere, both into Heaven and into the hearts, laying down the human ways and acting in divine ways-this is not yet known; so much so that not to a few will this appear strange, and those who do not keep their minds opened to the light of the Truth will not understand a thing. But little by little I will make My way, manifesting now one truth, now another, about this living in My Will, so that they will end up understanding. I was feeling all absorbed in the Most Holy Will of God, and blessed Jesus made present to me, as though in act, all the acts of His Life on earth. And since I had received Him sacramentally in my poor heart, He let me see, as though in act in His Most Holy Will, the moment in which my sweet Jesus, in instituting the Most Holy Sacrament, communicated Himself. How many wonders, how many prodigies, how many excesses of love in this act of communicating Himself. My mind wandered amid so many divine prodigies, and my always lovable Jesus told me: “Beloved daughter of My Supreme Volition, My Will contains everything, It preserves all of the divine works as though in act, and It lets nothing escape It; and to one who lives in It, It wants to make known all the goods It contains. Therefore, I want to make known to you the reason for which I wanted to receive Myself when I instituted the Most Holy Sacrament. The prodigy was great and incomprehensible to the human mind. For the creature to receive a Man and God, to enclose the infinite in a finite being, and to give to this infinite Being divine honors, decorum and a dwelling worthy of Him – this mystery was so abstruse and incomprehensible, that the Apostles themselves, while they easily believed in the Incarnation and in many other mysteries, remained troubled before this one, and their intellects were reluctant to believe. And it took My repeated saying for them to surrender. So, what to do? I, who instituted it, was to take care of everything, since, when the creature would receive Me, the Divinity was not to lack honors, divine decorum and a dwelling worthy of God. Therefore, My daughter, as I instituted the Most Holy Sacrament, My Eternal Will, united to My human will, made present to Me all the hosts which were to receive the sacramental consecration until the end of centuries. And I looked at them, one by one; I consumed them, and I saw My Sacramental Life palpitating in each host, yearning to give Itself to creatures. In the name of the whole human family, My Humanity took on the commitment for all, and provided a dwelling within Itself to each host; and My Divinity, which was inseparable from Me, surrounded each sacramental host with divine honors, praises and blessings, to give worthy decorum to My Majesty. So, each sacramental host was deposited in Me, and contains the dwelling of My Humanity and the cortege of the honors of My Divinity; otherwise, how could I descend into the creature? And it was only because of this that I tolerated sacrileges, coldness, irreverences, ingratitudes, since, in receiving Myself, I secured My own decorum, the honors and the dwelling which befitted My very Person. Had I not received Myself, I could not have descended into creatures, and they would have lacked the way, the door, the means to receive Me. I remained surprised, and as if I wanted to doubt, and Jesus added: “Why do you doubt? Is this not perhaps to operate as God? And this one single act of forming as many acts for as many as want to enjoy it, while it remains one single act-was it not the same for the act of the Incarnation, of My Life and of My Passion? I incarnated Myself only once, one was My Life, one My Passion; yet, this Incarnation, Life and Passion is for all and for each one, as if it were for one alone. So, they are still as though in act, and for each one, as if I were now incarnating Myself and now suffering My Passion. If it were not so, I would not be operating as God, but as creature, who, not containing a divine power, cannot let herself be possessed by all, or give herself to all. 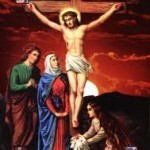 I was thinking about the Passion of my always lovable Jesus, especially of what He suffered in the Garden. I found myself all immersed in Jesus, and He told me: “My daughter, my first Passion was of Love, because the first step with which man, in sinning, gives himself to evil is the lack of Love; so, since Love is missing, he falls into sin. In order to be repaid through Me for the lack of love of the creatures, Love made Me suffer more than anyone; It almost crushed Me, more than if I were under a press. It gave Me as many deaths for as many creatures receiving life. The third effect produced by sin is the weakness in man. Therefore, I wanted to suffer the Passion from the hands of the Jews – my third Passion – to restore in man his lost strength. Jesus: “My daughter, in my Resurrection, the right was given to creatures to rise again in me to new life. It was the confirmation, the seal of my whole life, my works and my words. If I came on earth it was to give to each and every one my Resurrection, as their own – to give them life and make them rise again in my own Resurrection.